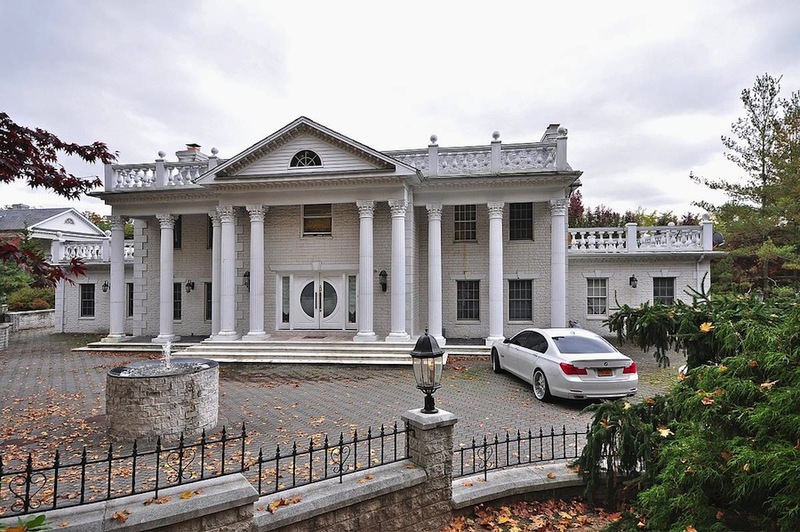 You’ll probably remember this Colonial mansion from the short-lived A&E realty series Growing Up Gotti. Even though the series only lasted from August 2004 to December 2005 we still got to see a lot of the mansion. The show followed the life of Victoria Gotti, daughter of Mafia boss John Gotti, and her three sons. 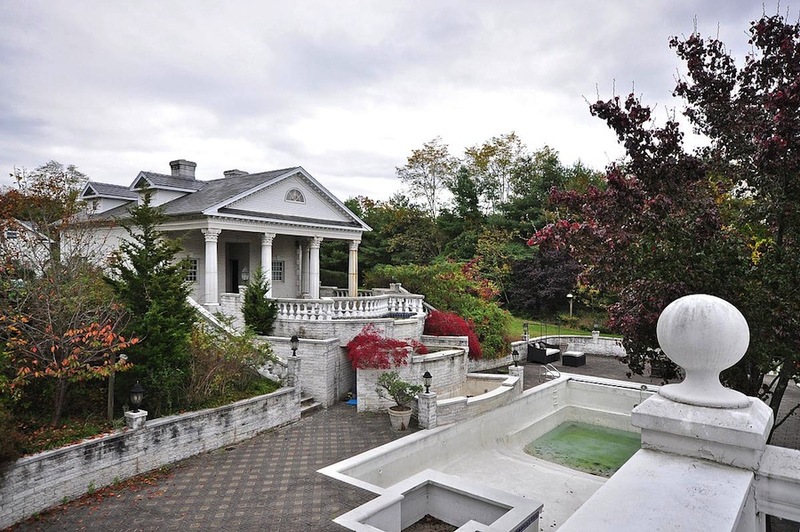 The 6,000 square foot brick & marble mansion was built in 1993 and looks to be all original. 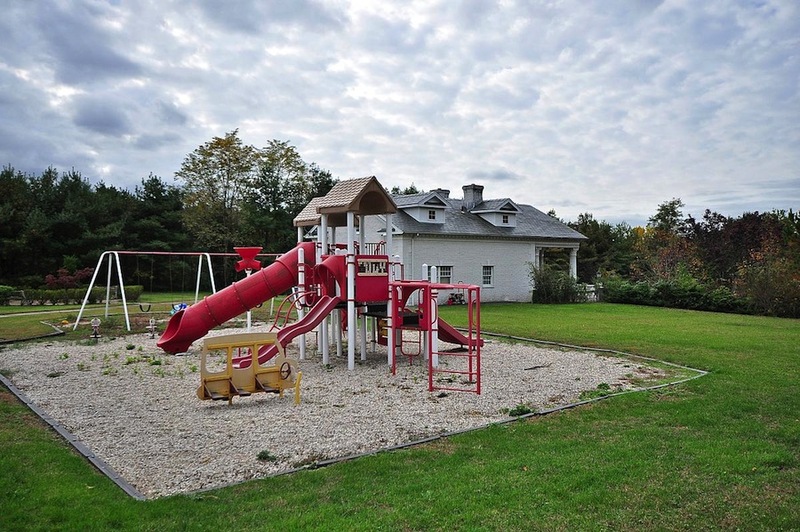 It’s come on and off the market over the past few years and is now listed at $2.5 million. 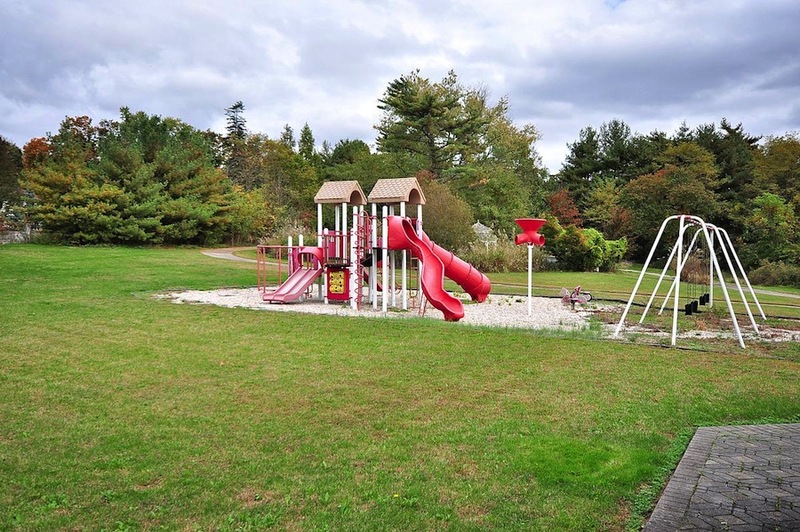 The property is described as being ‘majestic’ with ‘four magnificent acres of manicured lawns and towering trees.’ If also features a commercial quality playground that’s mostly overgrown. 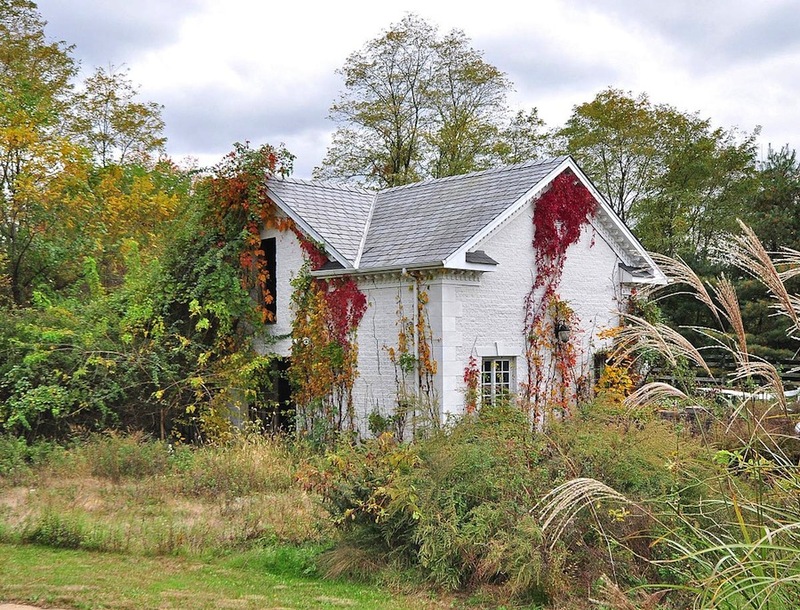 The ‘park-like property’ also includes a majorly overgrown four-stall stable and paddock with electric and water. 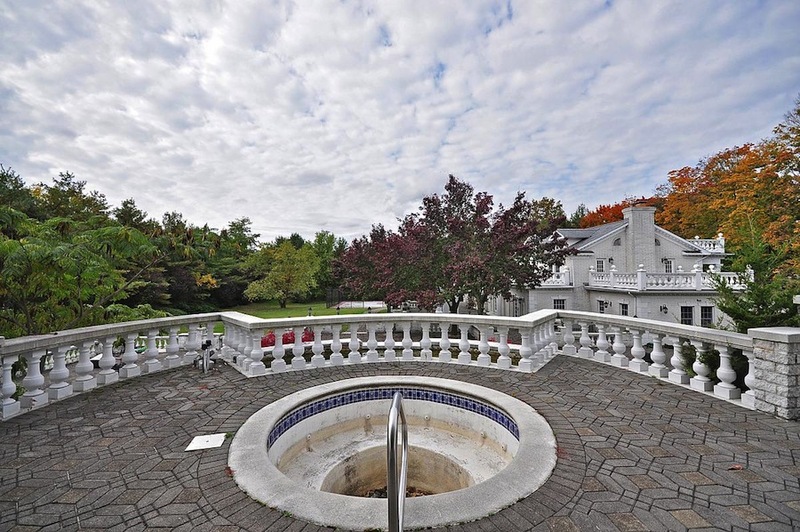 It’s obvious this 4-acre estate is in need of some TLC. The entire property needs a good power washing at the very least.